Click the pdf or ePub 'buy button'. Once you have paid, look for an email (check your spam folder) with a link to download the file. How the hidden drives and motivations of the Trimotive Brain determine our behaviour at work -- and what we can do about it. Unless we are in physical danger few of us think we are living ‘under threat’. Yet our brains believe we are at risk many times a day. Nowhere is this more true than at work, where our response to deadlines, budget cuts, abrasive managers, competitive colleagues and dissatisfied customers is too often controlled by a part of our brain that’s better suited to detecting, devouring or running away from predators. This is our threat brain, and on its own it is little help in dealing with the complex challenges of organisational life. In Beyond Threat, business psychologist and international leadership and organisational change consultant Dr. Nelisha Wickremasinghe takes us beyond the threat brain and describes the workings of our evolved Trimotive Brain which can respond with intelligence and compassion to unwanted, unexpected and unpleasant life experiences – if we learn how to manage it. Discover how our biological heritage (nature) and individual experience (nurture) combine to create who we are - and why that matters in organisational life. Learn to notice and re-direct the hidden motives that control most of our behaviour – especially those arising from our threat brain. Find out, in three detailed case studies, how executives working in different corporate environments identified and overcame the problem habits arising from their overactive threat brain. 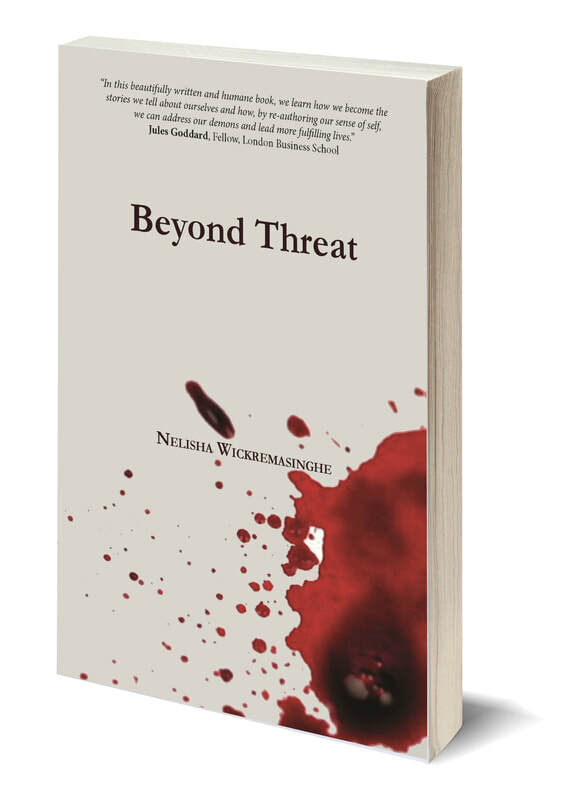 Beyond Threat is written for people leading and changing organisations. This is a book for leaders, managers and change agents in any organisation. ​It explains why we behave in the different ways that we do under pressure; how to notice, understand and manage that behaviour; and how to work with others to help them recognise and alter their behaviour. Click the image below for book details, reviews, extracts and where to buy it.